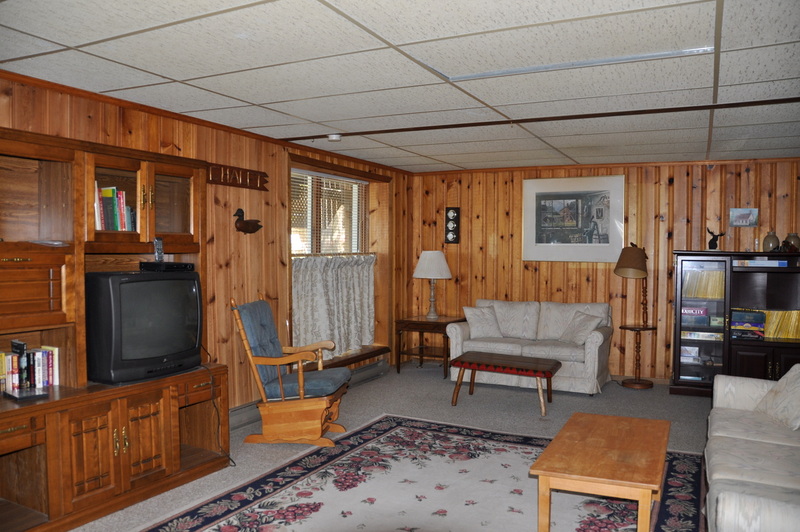 *Only avaialble for a long term rental during the winter season. 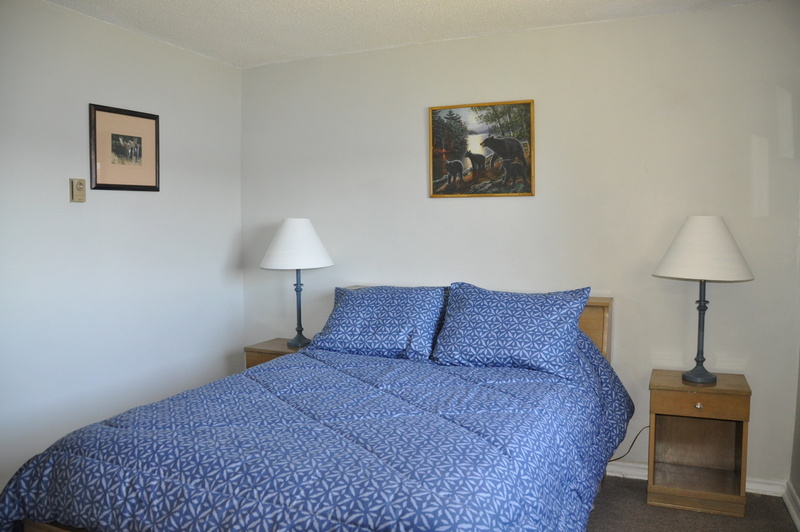 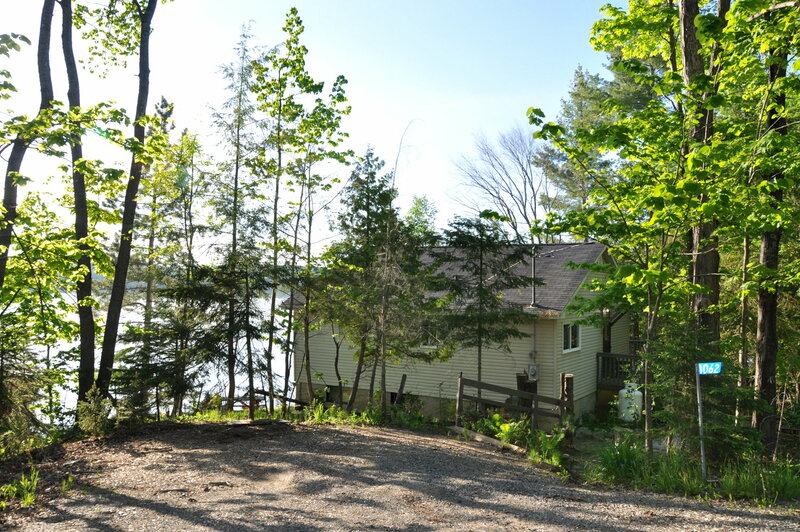 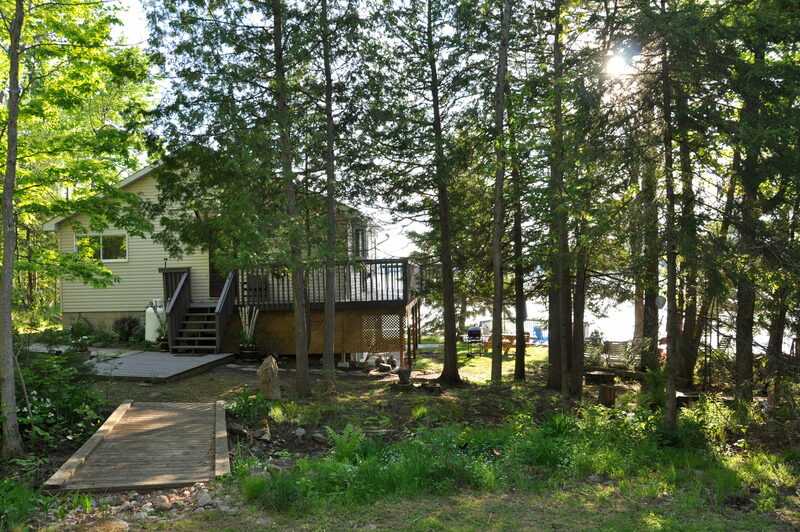 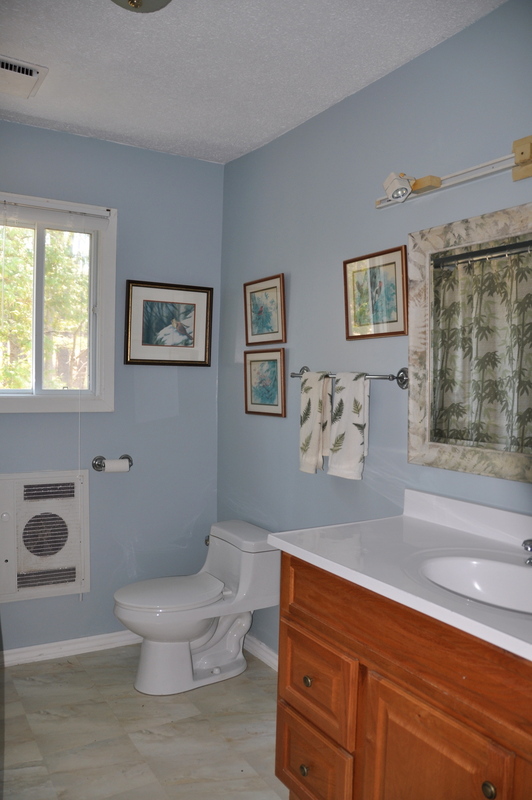 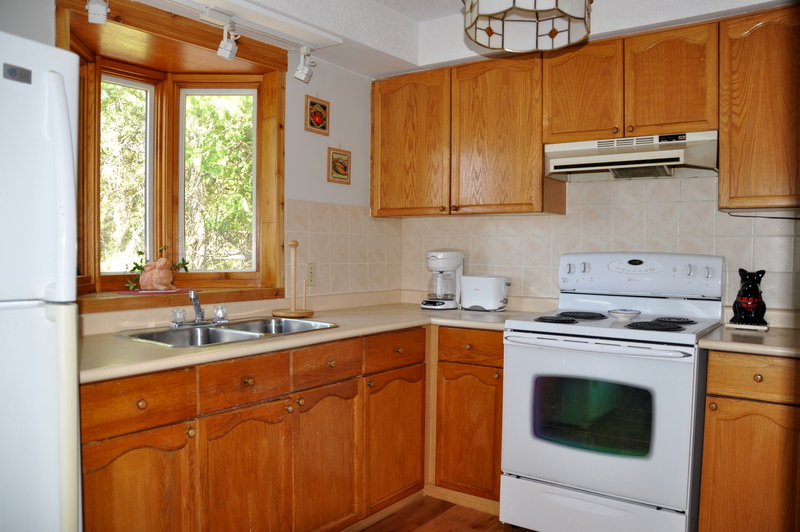 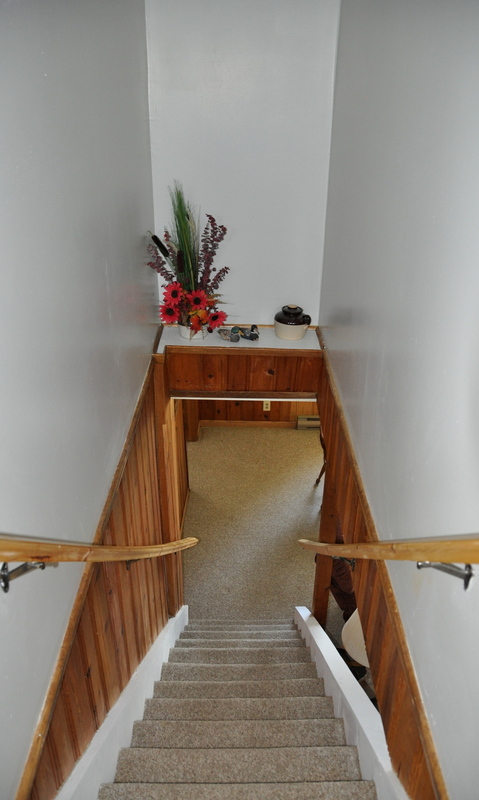 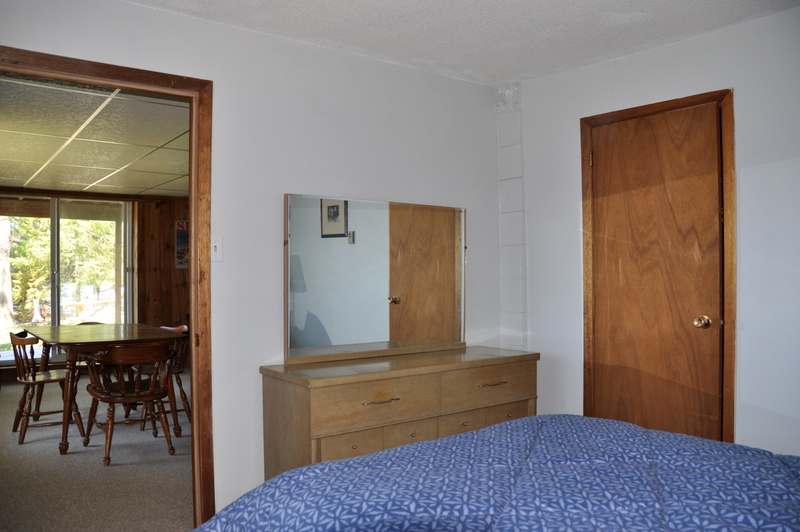 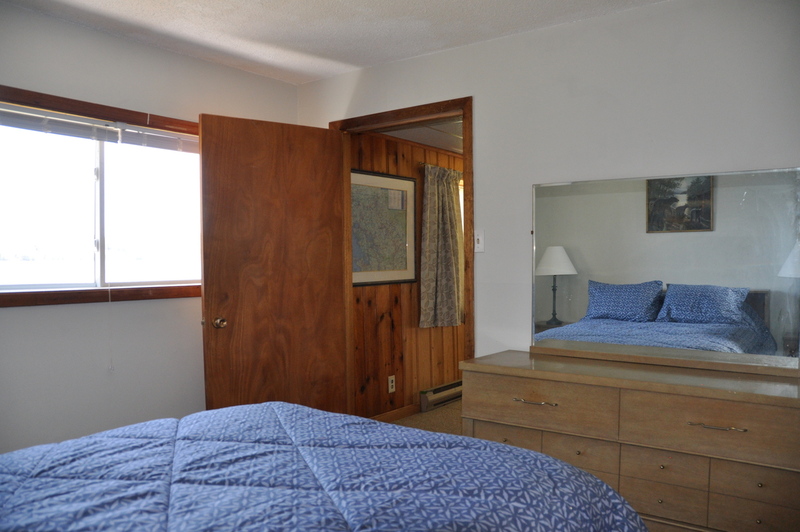 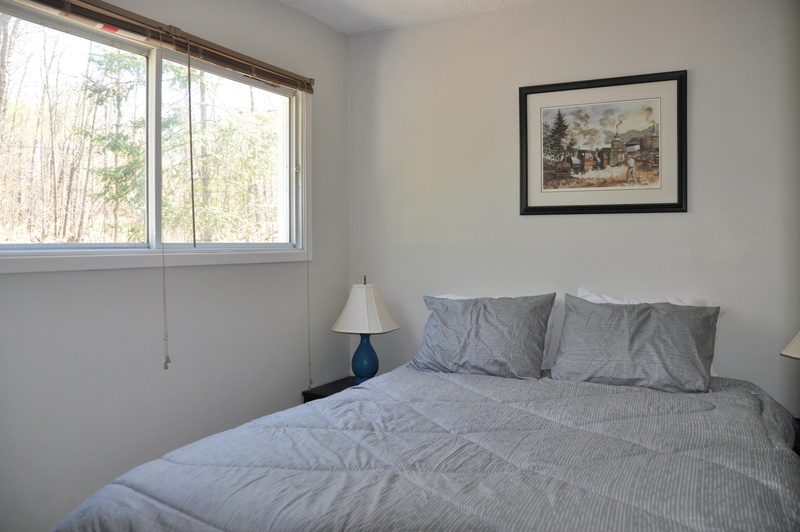 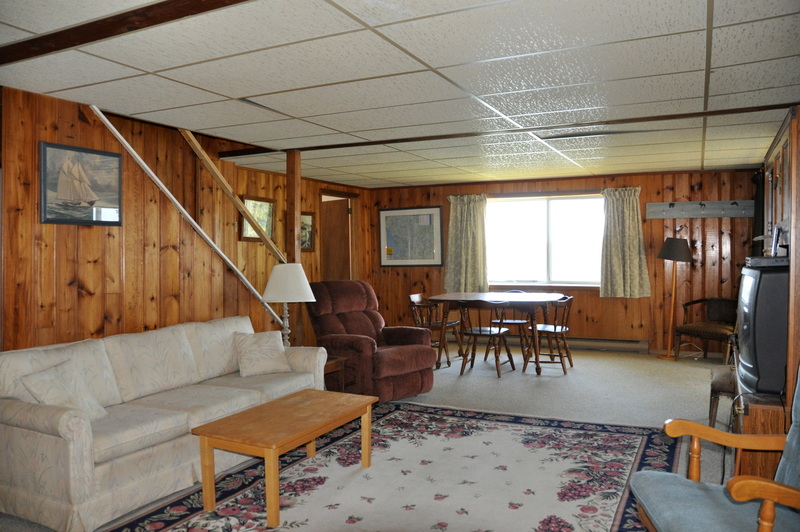 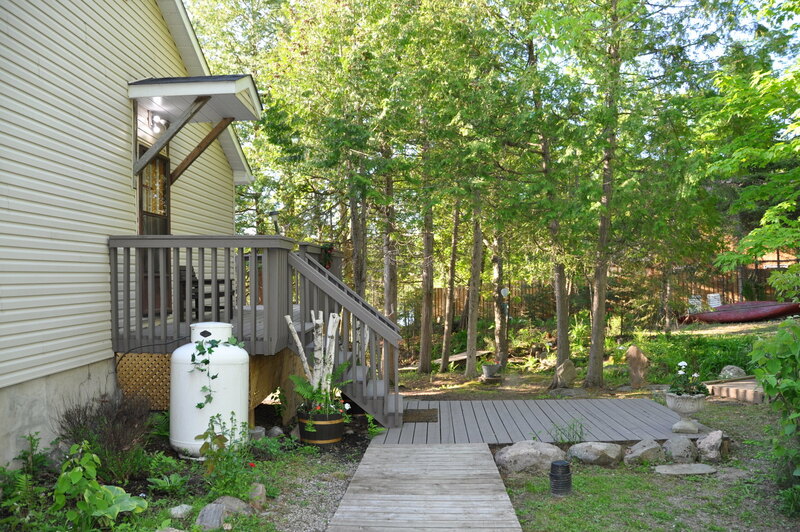 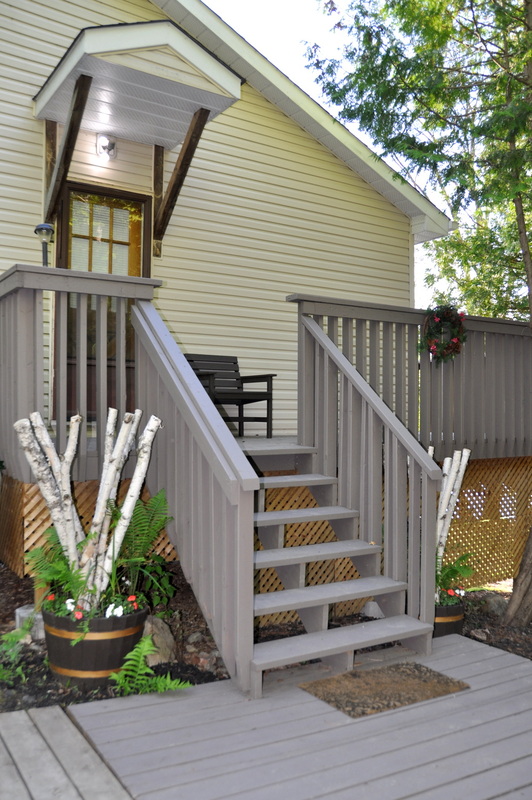 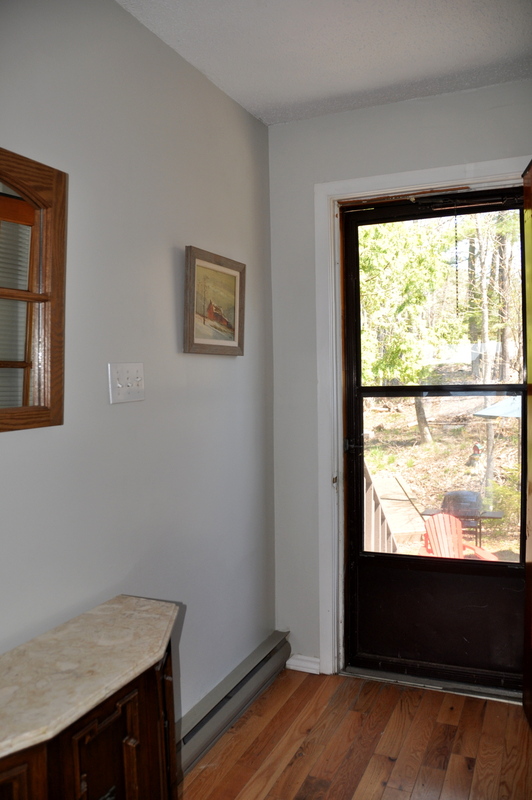 Welcome to this affordable cozy year-round, 2 level, 3 bedroom cottage located on the shores of beautiful Peninsula Lake. 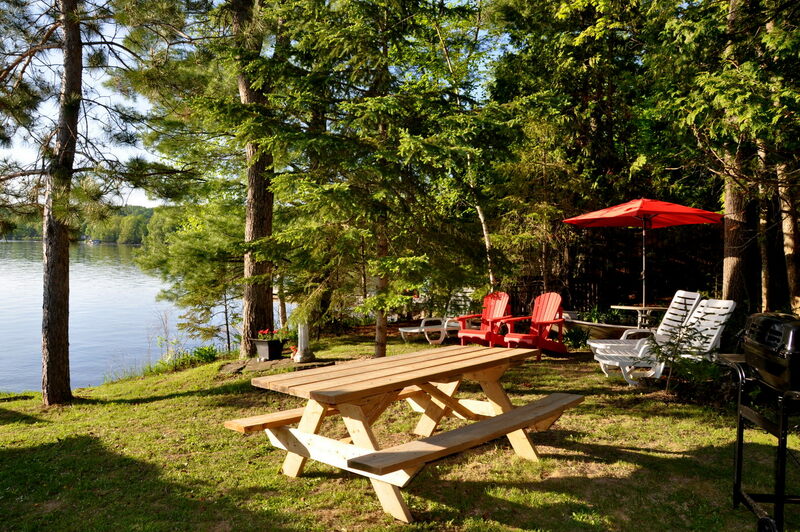 Right in the heart of Muskoka and just minutes away from the historical town of Huntsville, you have the best of both worlds with tranquility on the lake and a multitude of things to do in town. 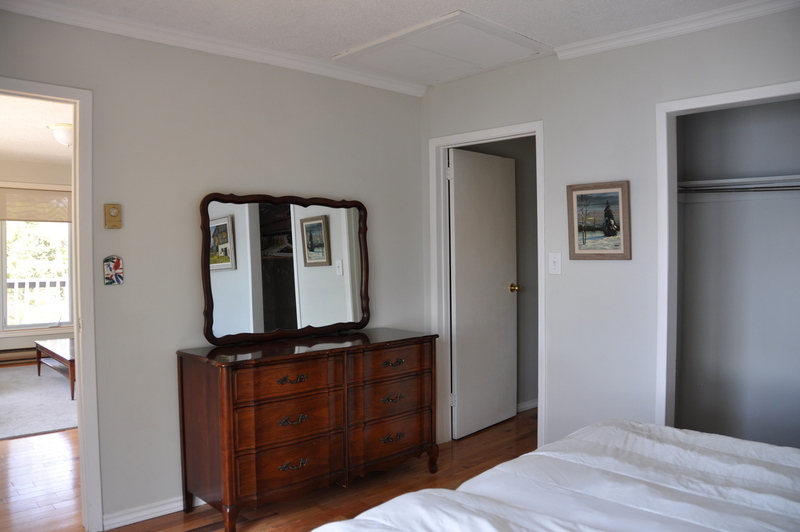 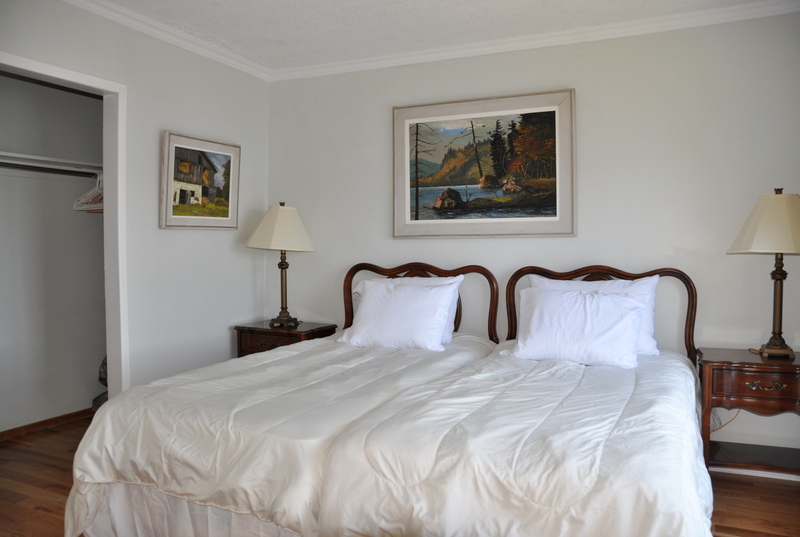 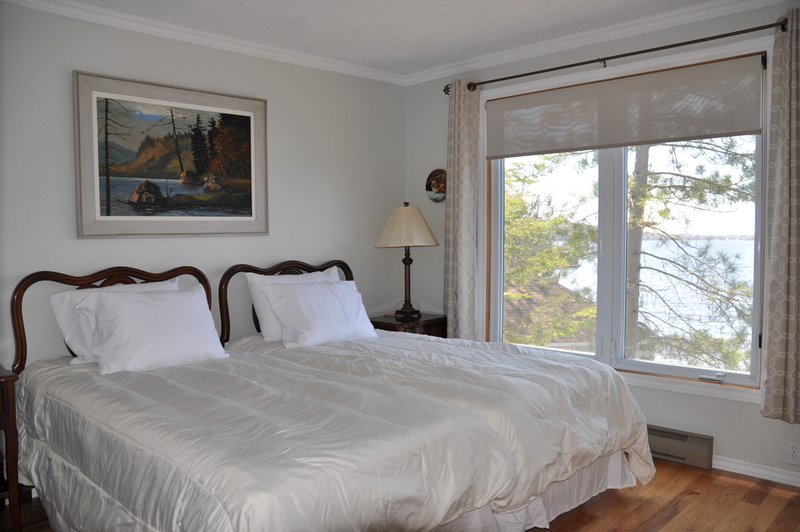 The cottage has been in the owner’s family for 3 generations, creating an abundance of priceless memories and they hope that you too will make wonderful memories of your own. 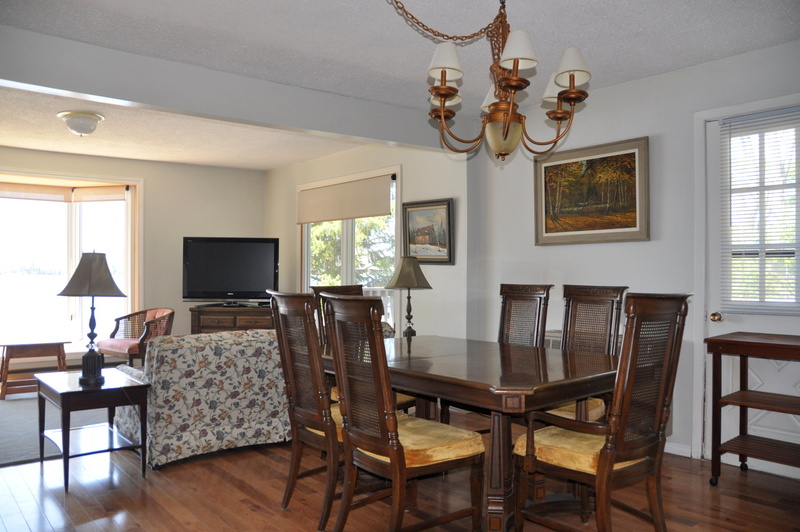 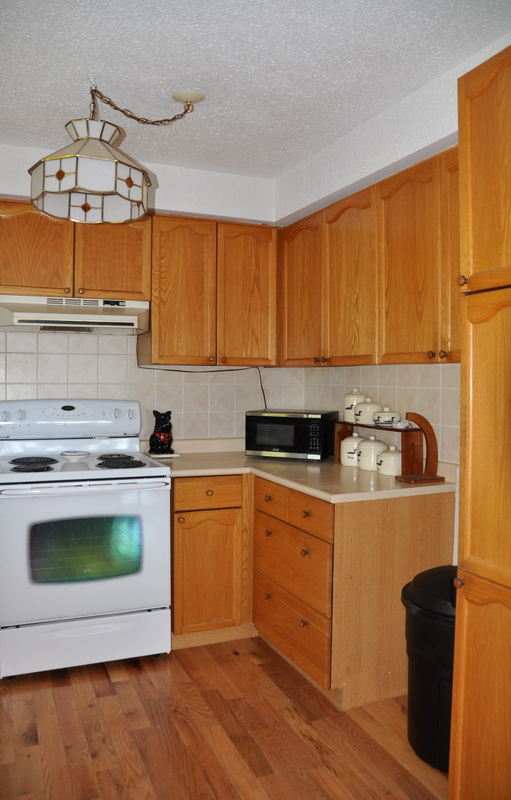 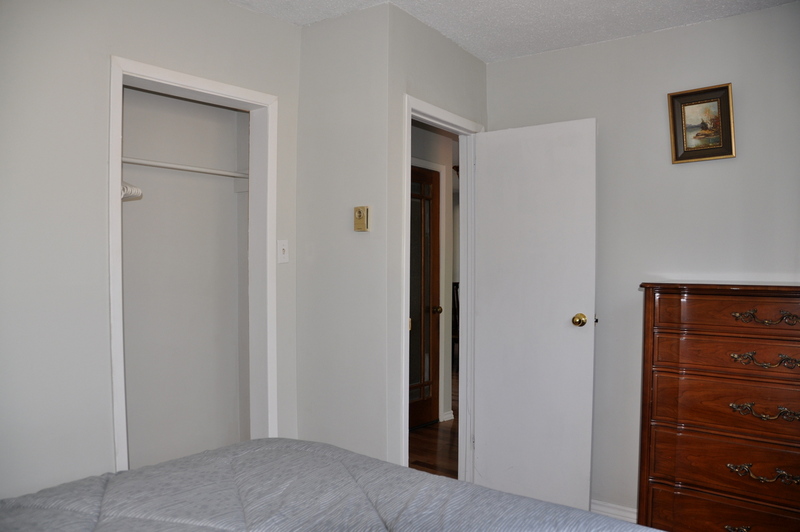 The open concept kitchen/dining/living area, 2 bedrooms and a 4-piece bathroom are on the main level with warm wood floors and comfortable furnishings throughout. 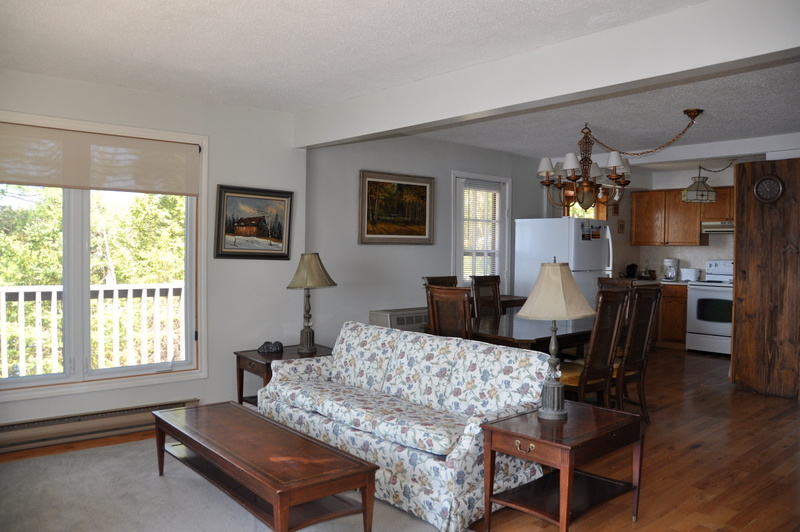 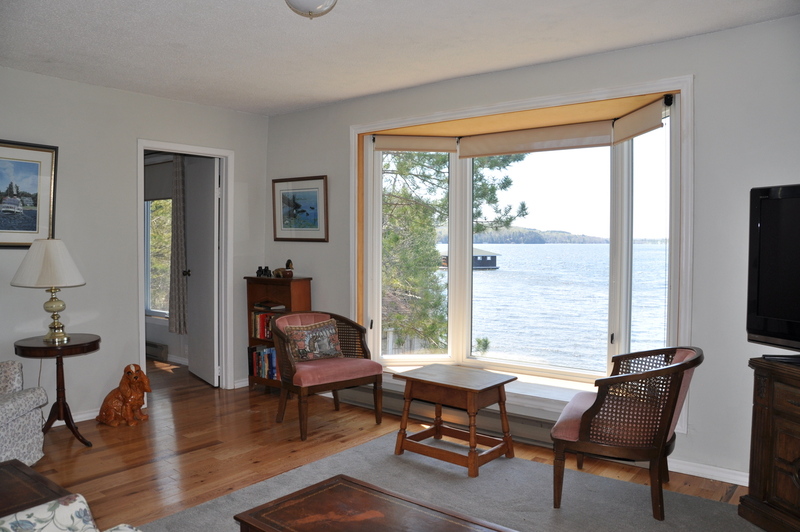 The living room and the master bedroom face out to the water with expansive views out to the lake. 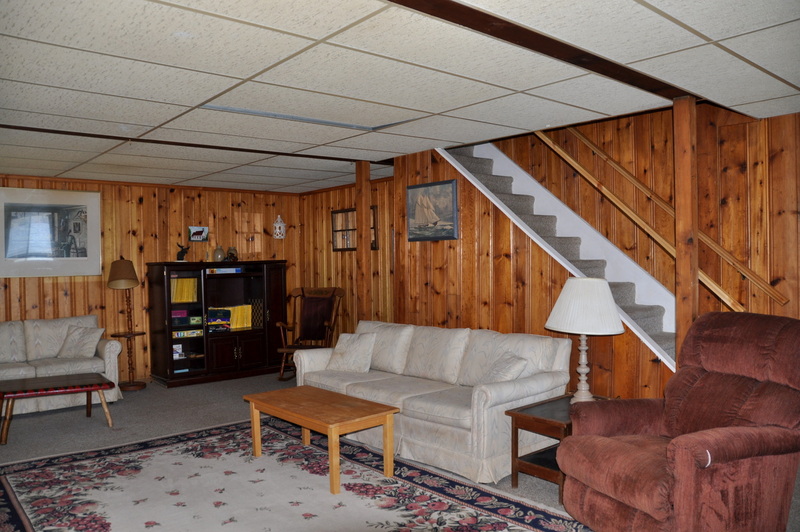 The lower level is carpeted, with wood paneled walls in the large family room adding to a “cottage warmth of years gone by” feeling. 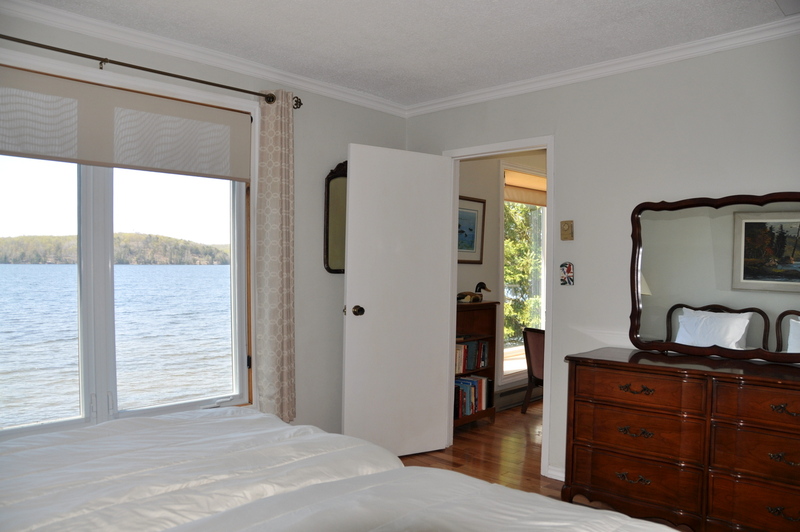 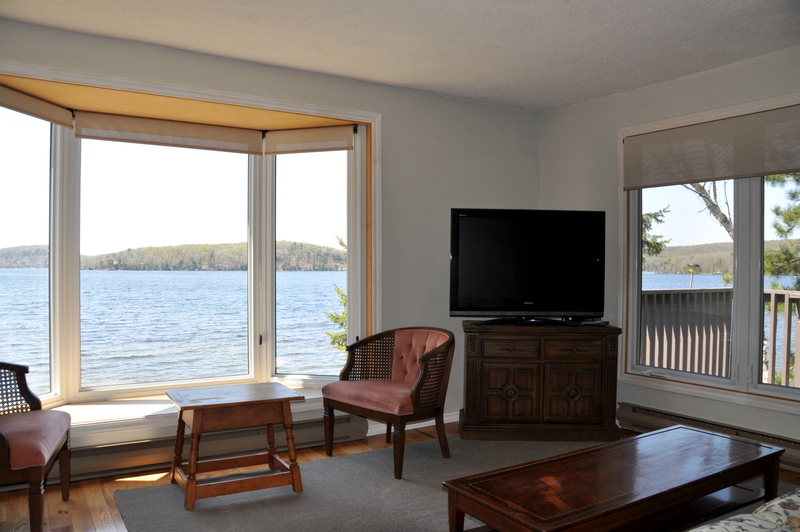 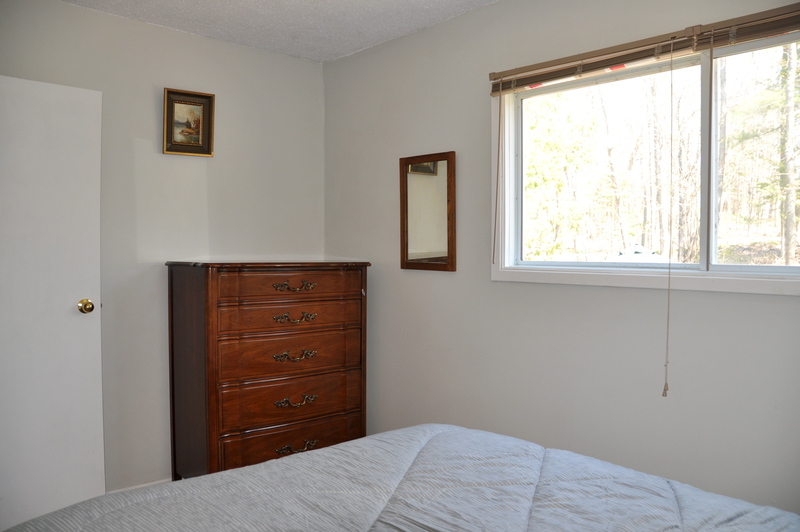 A third lake-facing bedroom is just off of the family room. 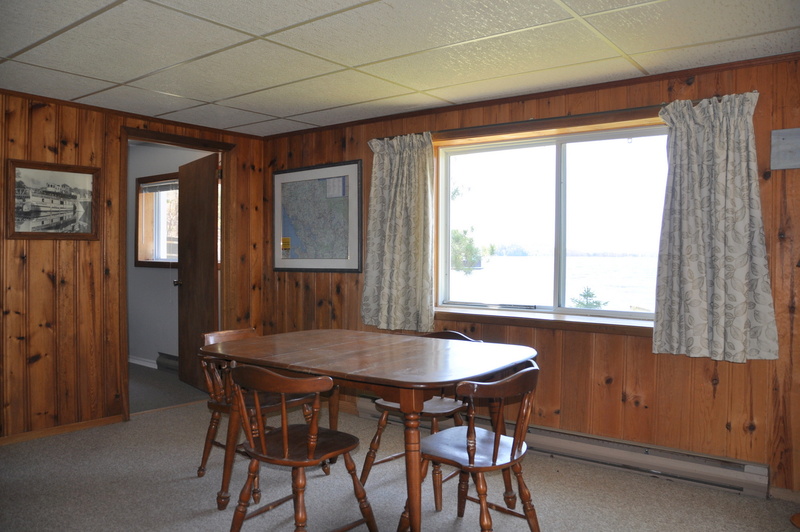 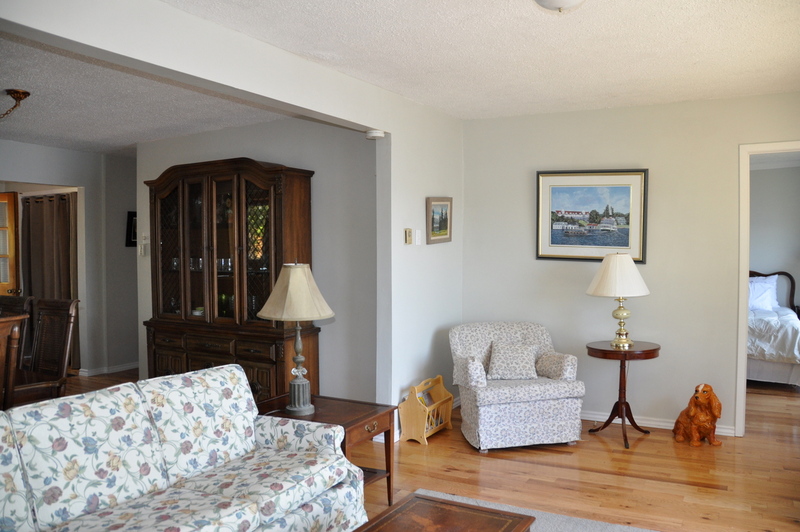 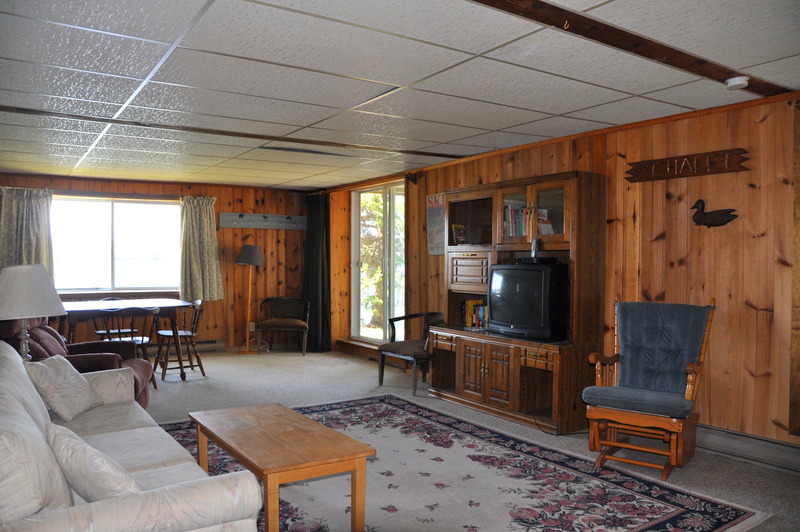 From the family room there is a direct walk-out to the lawn and lakefront. 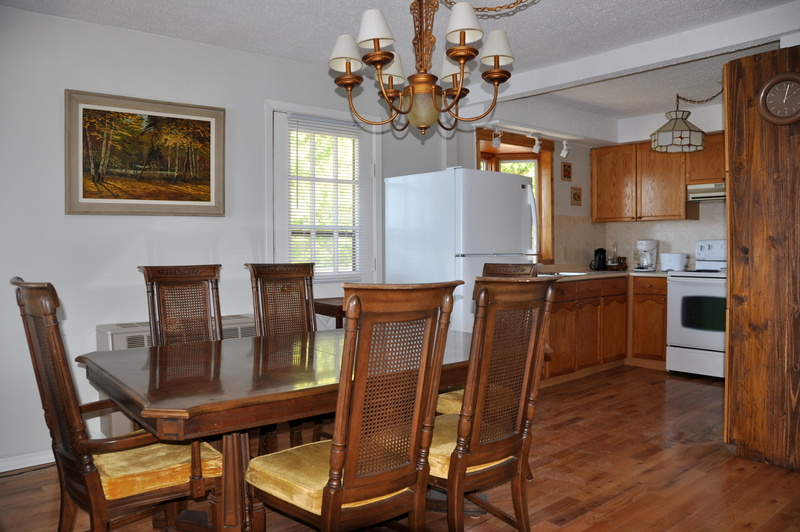 The property is fabulous for all ages with so many seating choices to enjoy either alone or as a group. 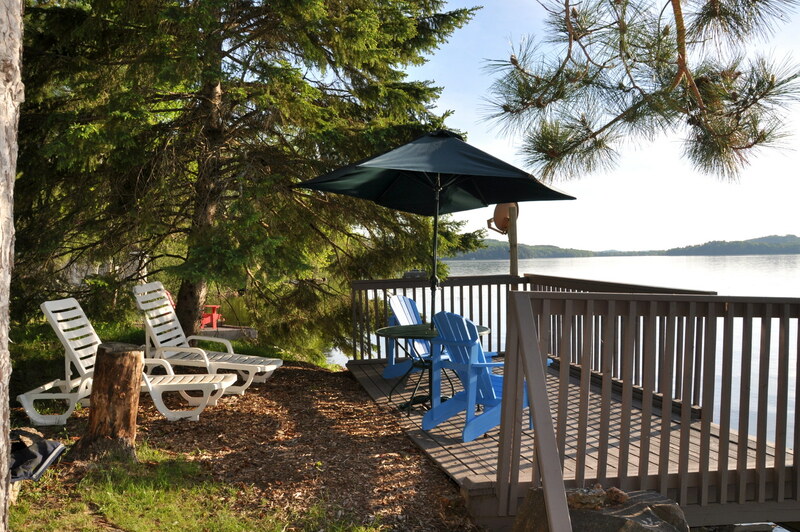 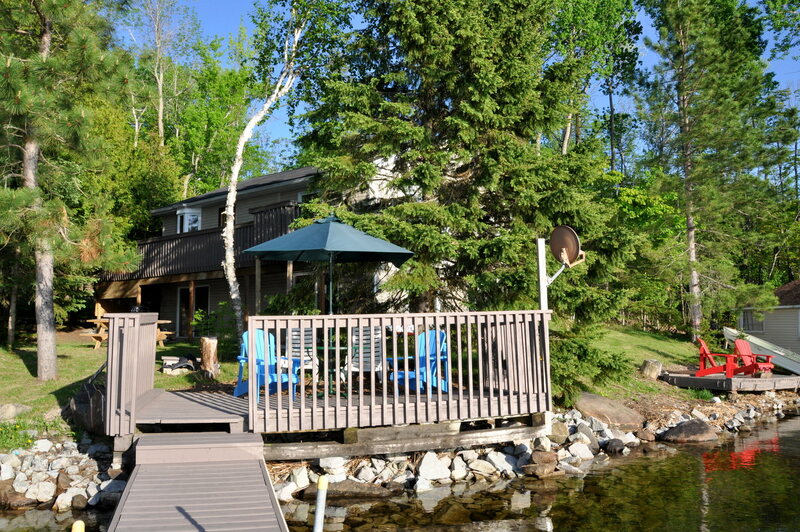 With 150 feet of water frontage there is a dock to swim off of and 2 lakeside decks to kick back and relax on. 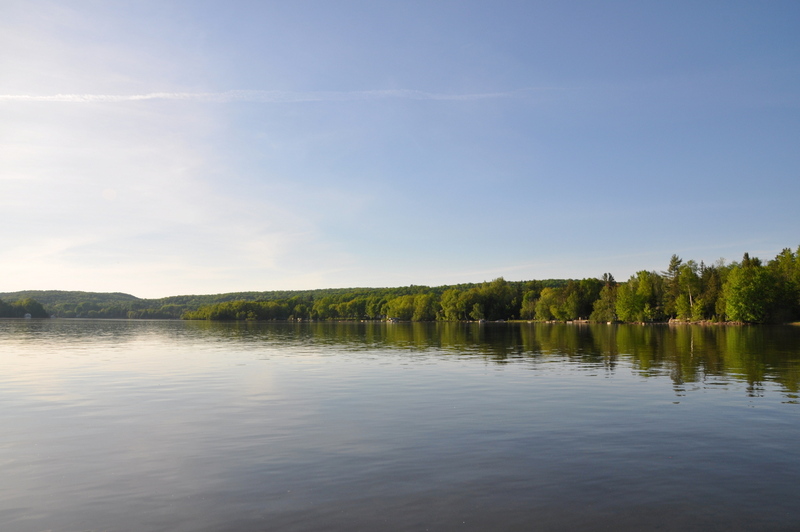 Keep your eye out for the baby ducks that seem to always make an appearance in the early summer season and don’t be surprised if a Blue Heron decides to visit or fly by. 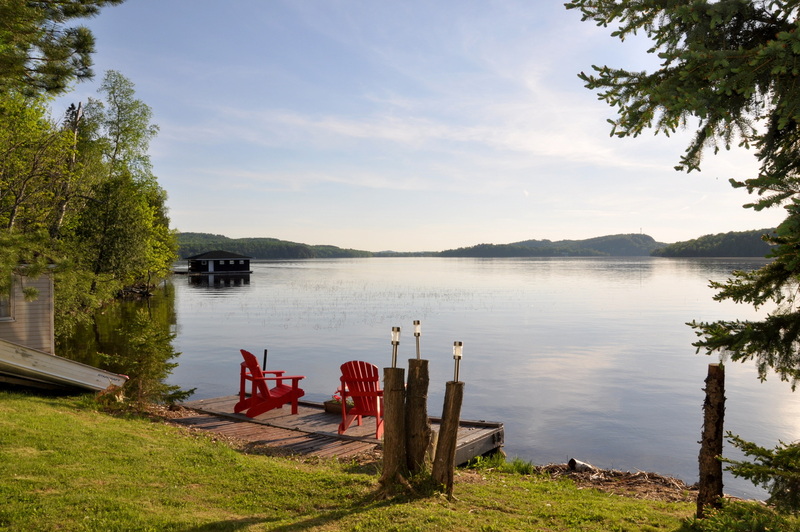 If you bring or rent a boat, the bonus of staying on Peninsula Lake is being able to explore three other adjoining lakes - Fairy, Vernon, Mary, and gaining access to 64 kilometers of boating. 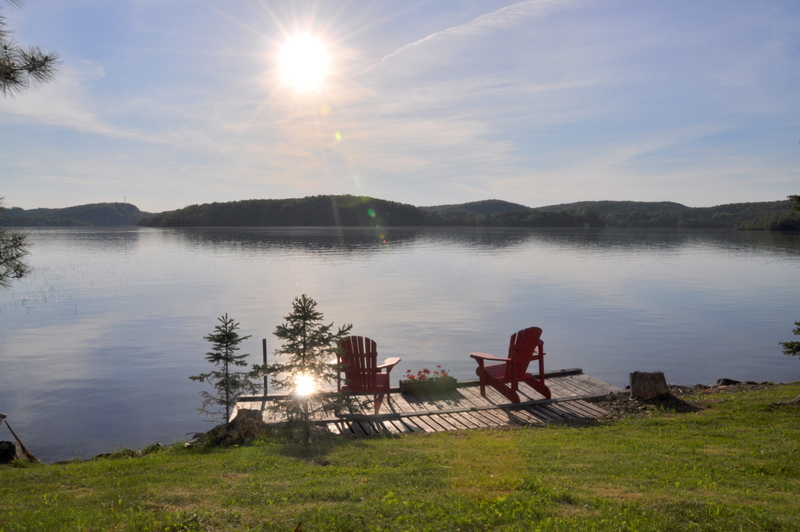 You can even boat into the historical town of Huntsville for a day of shopping and dining. 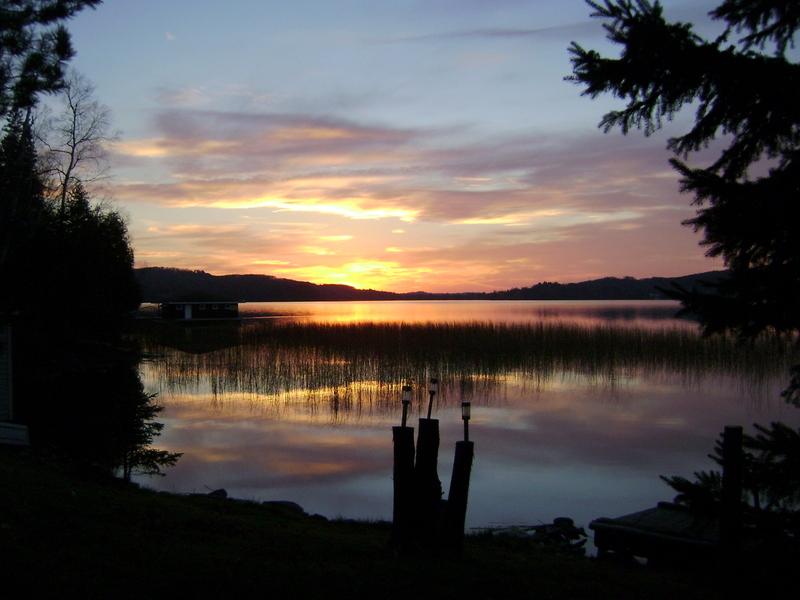 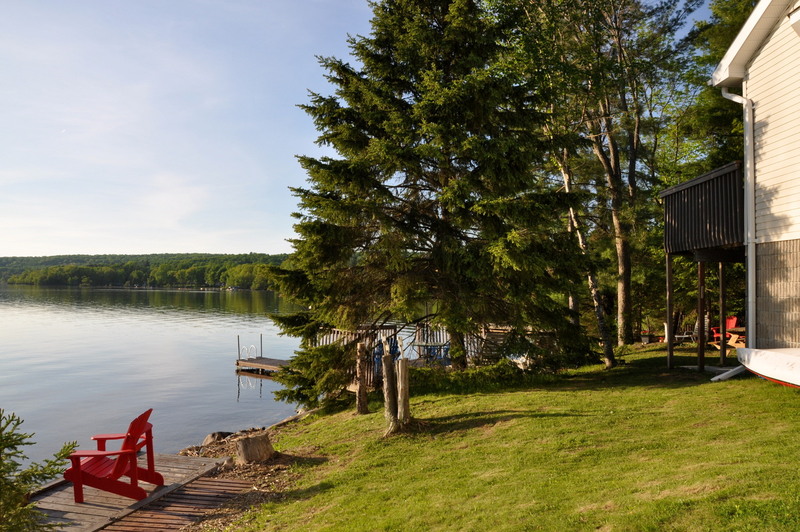 If you choose to stay close to the cottage, a rowboat will be provided for your enjoyment to explore the lake. 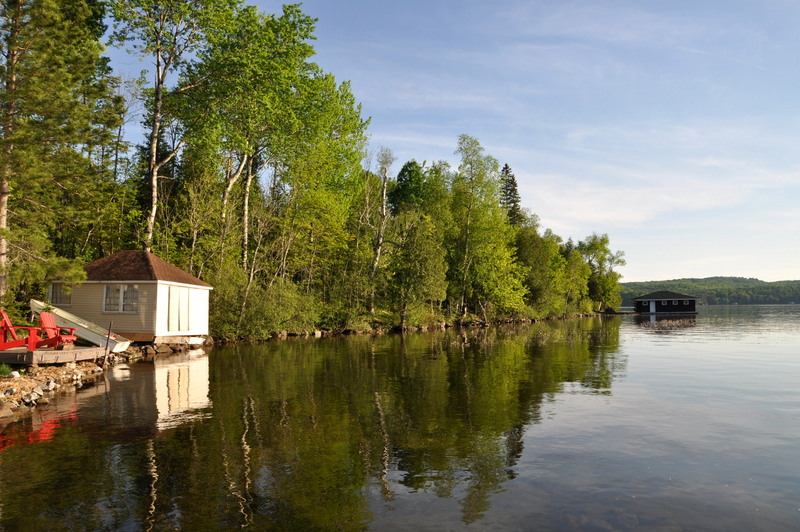 Arrowhead Provincial Park is just minutes from the downtown area. 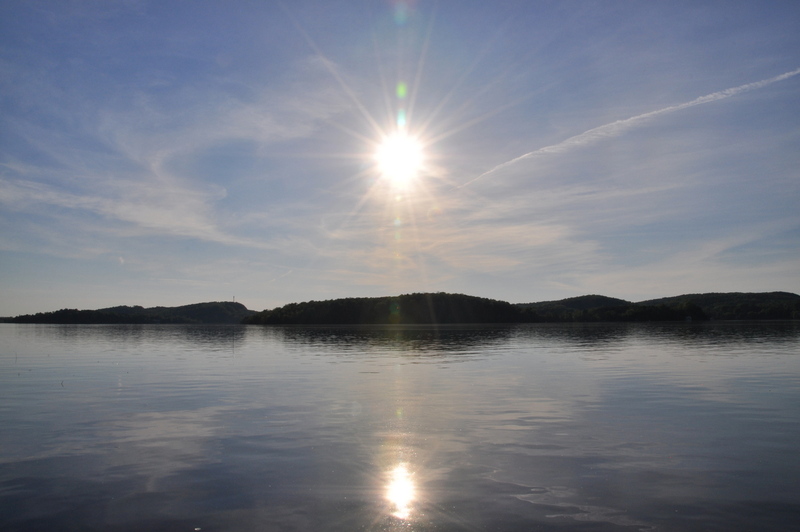 For longer day trips Algonquin Park is just a 40 minute drive away. 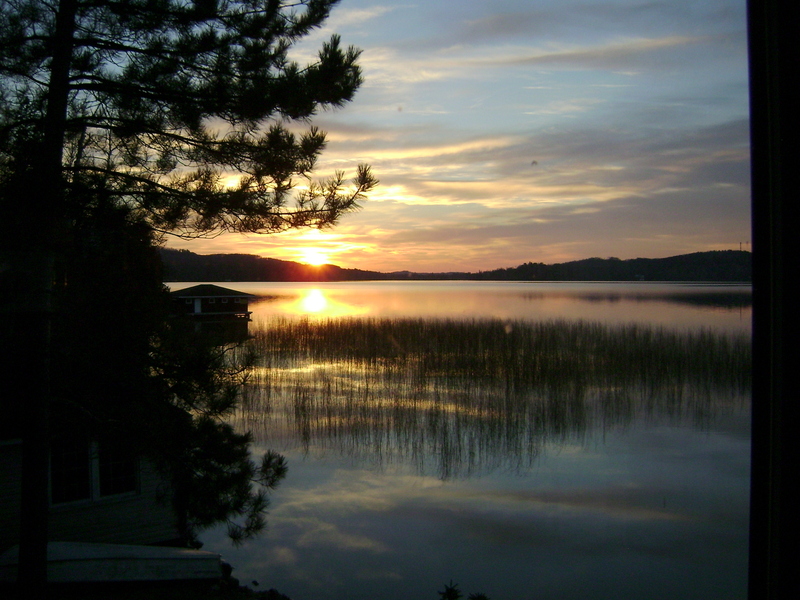 Both parks offer hiking trails and water activities in the summer and snow shoeing, cross country skiing and ice skating in the winter. 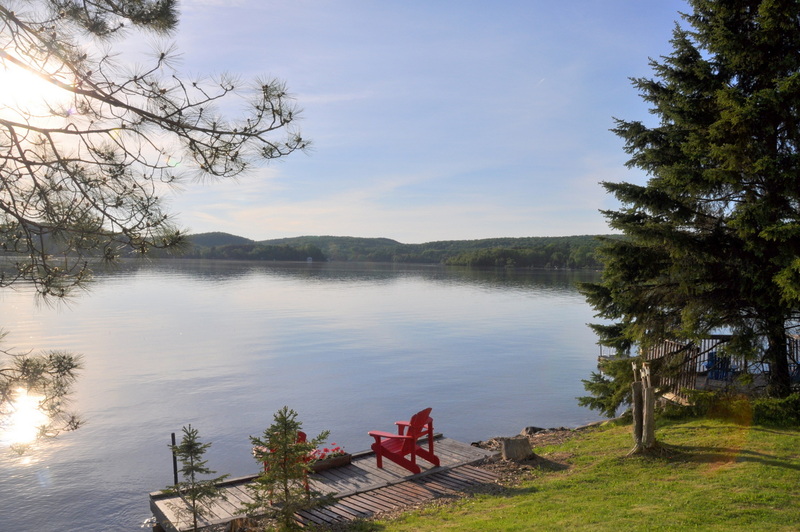 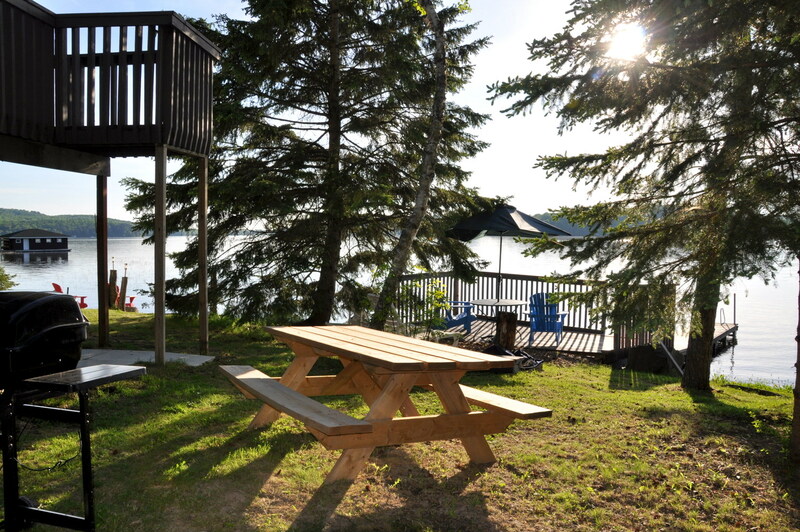 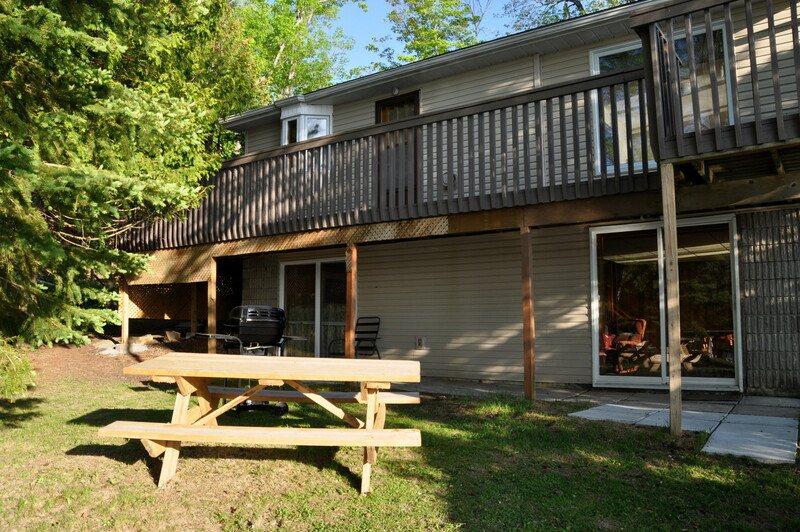 However you choose to spend your days, end up back at the cottage for a BBQ and favourite beverage and choose from the lakeside deck seating areas or the lakeside lawn area to recline and take in the stunning sunsets! 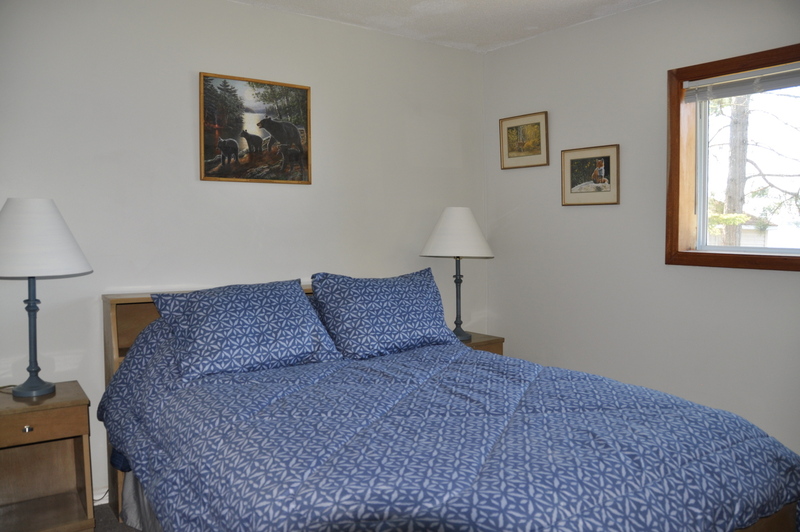 Pets upon approval, no smoking, maximum number of occupants is 6 (max 4 adults and 2 children), bring own linens and towels, bring own drinking water if preferred, noise restriction after 11 PM.